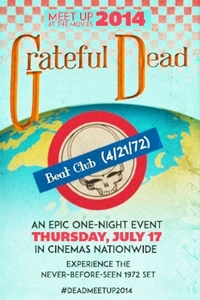 A live–in-studio concert by the Grateful Dead, filmed at Bremen, Germany’s Beat Club in 1972, will get theatrical screenings across the country on July 17th at 7:30 p.m. local time as part of the annual “Grateful Dead Meet-Up at the Movies.” In addition to performances of songs from their European tour, the film will include the in-studio banter that took place the day it was filmed. Audio is remastered from the original analog tapes. The concert is one of the last known video captures of Ron “Pigpen” McKernan, a founding member of the Dead, who died shortly thereafter. There are currently no plans for additional screenings of the film or for a commercial DVD release. 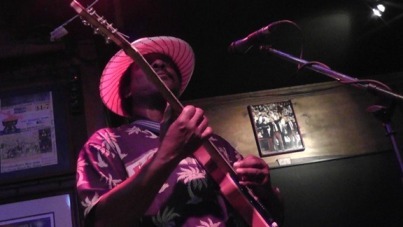 The evening will also include a behind-the-scenes exclusive of the making of the “Spring 1990: The Other One” CD box set, featuring interviews with Grateful Dead guitarist Bob Weir and mastering engineer Jeffrey Norman. Triangle area screenings are in Durham, Raleigh and Greensboro. For all screening locations and/or to buy tickets click here. See & hear a song from the concert below. This entry was posted in Movies, Tickets and tagged Bremen Germany, Grateful Dead 1972 concert, Grateful Dead Meet-Up at the Movies by Steve Haughton. Bookmark the permalink.